I came to his work rather late, I’m afraid. I started reading his stories in the early eighties and ended up using one—“Oh, Joseph, I’m So Tired”—in an anthology I put together in 1983. Funny story about that. Yates was an odd duck, as is well known, and he did a drop take now and then. Now, when this anthology I’d edited, Matters of Life and Death, was coming out, the publisher arranged a launch reading for the book at a museum in Boston. Jayne Anne Phillips, Mary Robison, and Richard Yates were going to read, in that order. 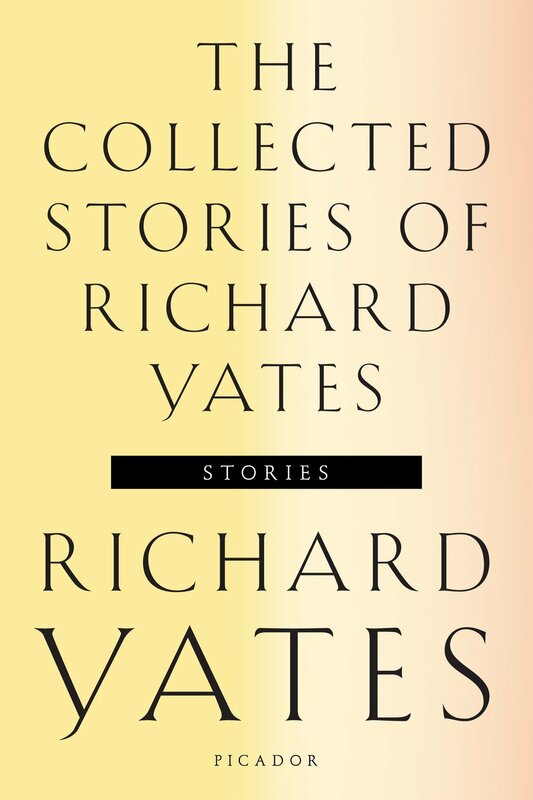 I showed up just before the reading, and met everybody in the lobby, and sat down with Yates for a little while—first time I’d met him—though he was hardly in a state to have much conversation with me. He was very, very drunk. He had on a beautiful suit that was full of cigarette holes, and his elbow kept slipping off the table, he could hardly put two sentences together, and I thought, Oh, well, what can one do, you know? And so the reading began, first Jayne Ann, then Mary, and Yates was slumped in the front row and every once in a while you’d see his head bob up violently and you’d know he’d gone to sleep. Now, “Oh, Joseph, I’m So Tired” is a very long story, and it’s written in a complex language, full-throated sentences, delicately inflected, nuanced. How was he going to get through a page of it? But when Mary Robison ended her reading and Yates was introduced, he made his way to the podium and read that story without dropping a comma. He read it in a beautiful, smoke-cured, gravelly voice. It was a wonderful reading. A perfect reading. Professional doesn’t even begin to describe it. And then he came off the podium and I went up to congratulate him and he was drunk again. You can read that story here, along with some random MFA pieces, and you can see a taped reading by him on YouTube. It’s true: his voice is gravelly. Everybody says Thomas Pynchon’s voice sounds like Jeff Lebowski, and Yates reminds me of Pynchon’s voice if he spent a decade as a crabber and came back a salty ol’ sea captain, the kind of voice that results from chain-smoking Pall Malls after your lungs have already been wrecked by Tuberculosis (and Albert Camus also kept his habit after TB at a young age, how did these guys do it?!). Anyway, it’s a beautifully sad story: the setting is vividly rendered and the whole thing is immaculately composed. When Franklin D. Roosevelt was President-elect there must have been sculptors all over America who wanted a chance to model his head from life, but my mother had connections…. She wasn’t a very good sculptor…. Her idea was that any number of rich people, all of them gracious and aristocratic, would soon discover her: they would want her sculpture to decorate their landscaped gardens, and they would want to make her their friend for life…. And, if nothing else, she had a good studio…. We had just turned off the radio one day when we went into the studio and found our mother discussing the Roosevelt with Howard Whitman…. She always called the courtyard “the garden,” though nothing grew there except a few stunted city trees and a patch of grass that never had a chance to spread…. You can already get a hint of what’s going on and what’s going to happen. Helen, the narrator’s mother, is a mediocre artist with big hopes, and her stubbornness in holding out on her high expectations make her both vapid and ridiculous. She is slated for disillusionment. And it goes beyond her work as a sculptor, the courtyard is a pitiful thing (we get details of a dirty fountain) but she calls it “the garden” anyway. But almost everybody in the story has dreams beyond their station. Bart, a Jewish neighbor, wants to be a concert violinist but the symphonies are not hiring; Helen’s confidante Sloan is a secretary who also writes radio drama scripts that never get accepted. And all of the men are failed breadwinners. By the end we’ve witnessed a small community of sad people and the relationships within it from the perspective of Billy, who is six at the time of the main action. There are so many elements that are finely balanced: his relationship with his older sister Edith and their older friend John, their divorced father, and brief flash-forwards to events beyond where the narrative stops, so that the story, already big and rich, feels like just a small segment of a saga (and there are more stories about Bill apparently). “I believe in the aristocracy!” she often cried, trying to make herself heard above the rumble of voices when her guests were discussing Communism, and they seldom paid her any attention. They liked her well enough: she gave parties with plenty of liquor, and she was an agreeable hostess if only because of her touching eagerness to please; but in any talk of politics she was like a shrill, exasperating child. She believed in the aristocracy. Billy, who narrates as an adult now regarding these events with clear eyes, makes plain to us what will only be revealed to Helen at the end of narrative — that she’s a laughingstock, and even the praise her circle of friends have makes her seem pathetic, at least that’s what i get from “touching.” And as with the rest of the work, i really enjoy the rhythm of the prose, such as how the stressed syllables line up in “seldom paid her any attention.” And the repetition of her slogan by the narrator — tells you all you need to know, really. Recalling the third opening line above, her fantasies are staked on the rich (recall that we are in 1932), and she zealously defends them even though they would never accept her. Melancholy. But not humorless or phony either. The story is beautifully observed; no ham-fisted cynicism or fragmented sentences to ramp up a false sense of world-weariness or edge (im glad i got that out of my system by the end of high school). It’s bleakness might put a lot of readers off the way Bela Tarr’s films do, while still duly impressed by the masterful technique. And narratives about crushed dreams have a particular sting, and it isnt helped by the story’s clinching image of Helen’s kids listening to sounds of New York, made by millions of ordinary, mediocre people, who can’t all possibly come close to their ambitions.